The iPhone 5 is an impressive smartphone, but it's not without its faults. Nothing in this world is perfect, not even stuff designed and made by Apple. The hardware is absolutely killer. You can't buy a more well-made smartphone than the iPhone 5. Everything about the iPhone 5 is leagues ahead of the competition in terms of materials, fit, and finish. The new, taller display provides extra room for content on the screen without pushing the iPhone 5 into the too-big-to-use category of devices. As for basic performance, battery life was excellent and call quality the best. I was disappointed with signal performance and the uneven HSPA+ speeds on AT&T's 3G network. Those crummy speeds were mitigated by AT&T's LTE network, but remember that AT&T's LTE footprint still only covers about 65 markets. The camera produces excellent still and video results, and the iPhone 5 is one of the best devices out there for listening to music, watching videos, playing games, and (gasp!) being productive when the time calls for it. iOS 6 is better than its predecessors, but still leaves out some features that are offered by competing platforms. The lack of home screen customization is disappointing, as is the essentially powerless contact app. For Apple fans and iPhone lovers, the iPhone 5 is an easy decision. Go out and buy it right now. If you're undecided about upgrading from an iPhone 4S, yes, it's worth it for the larger display and faster wireless speeds. If you're coming from a competing platform, prepare to be impressed by the hardware. 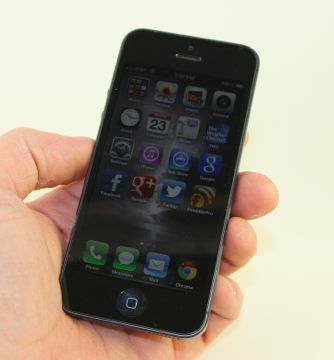 The iPhone 5 is easily one of the best phones to reach the market this year.